We were recently contacted by The Green Fingers charity to see if we would like to get involved with the woodland walk for Chestnut Tree Children’s Hospice. This was being designed by Ann Marie Powell Gardens. Of course, we were delighted to be part of this project. The site was an inaccessible woodland before work started, it has been transformed into an inspirational woodland walk that is now accessible to all the children who use the hospice. 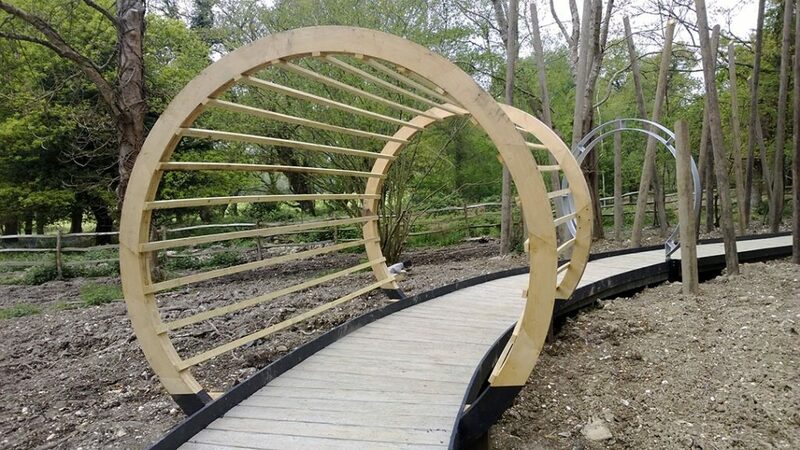 We were able to make two 3-meter Sweet Chestnut moongates, which provide the frame for an impressive brushwood tunnel for the walk to pass under. The garden is a great addition to the hospice, hopefully, it will allow children and families to spend precious time together in the fresh air. We wish everyone who uses the garden all the very best for the future.